Join the "it list" for sales, décor tips, and new product alerts! Picture It Custom helps you capture the moments that mean the most! We are your source for personalized home decor and engraved gifts displaying your own cherished images. 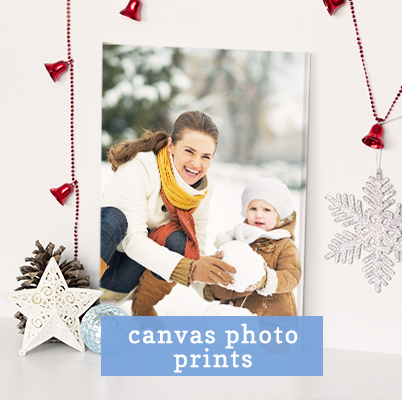 Transform memories into art with our custom canvas prints, wood prints, metal prints and engraved gifts. Our museum-quality canvas prints add a touch of class to any home. They also make great gifts! Unframed gallery-wrapped canvas prints feature hand-stretched premium satin canvas on a quality poplar wood frame. Prints come ready to hang with a sawtooth hanger. Framed canvas prints are mounted on hardboard backing. Choose from Country or Barnwood – ready to hang with a sawtooth hanger. 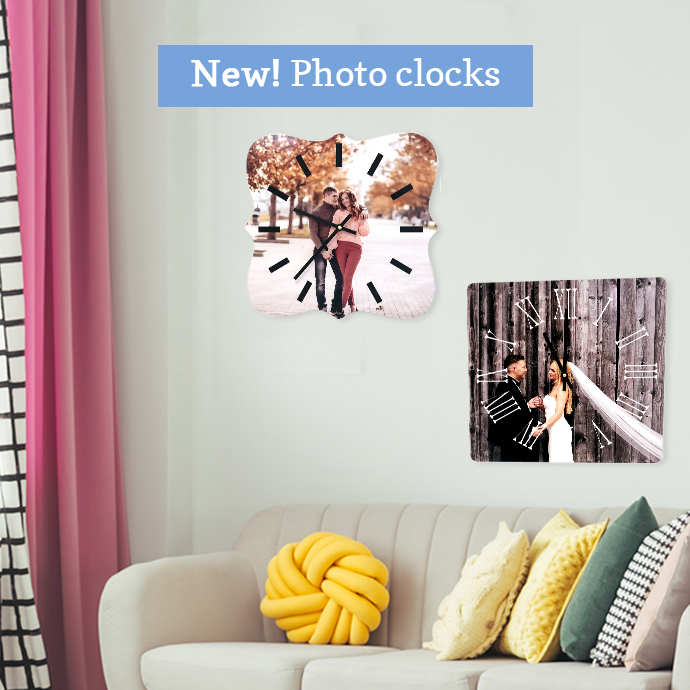 Our handcrafted custom prints on wood impart a natural, rustic feel to your home décor. Consider wood prints when you want to emphasize warm tones. Natural wood grain and knots are incorporated into the image. 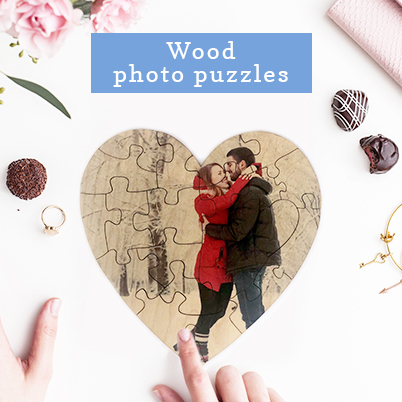 Choose from custom wood prints on a birch wood panel or wood pallet. 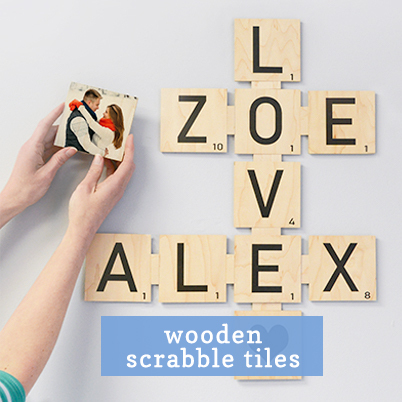 We also offer wood Scrabble tiles and engraved gifts such as cutting boards, jewelry, blocks, signs, ornaments and more. A contemporary twist on the classic photo print, our custom metal prints make great decorations and gifts. From standard squares and rectangles to rounds, panoramic prints and other whimsical shapes, our metal prints add unparalleled flexibility to your decorating scheme. 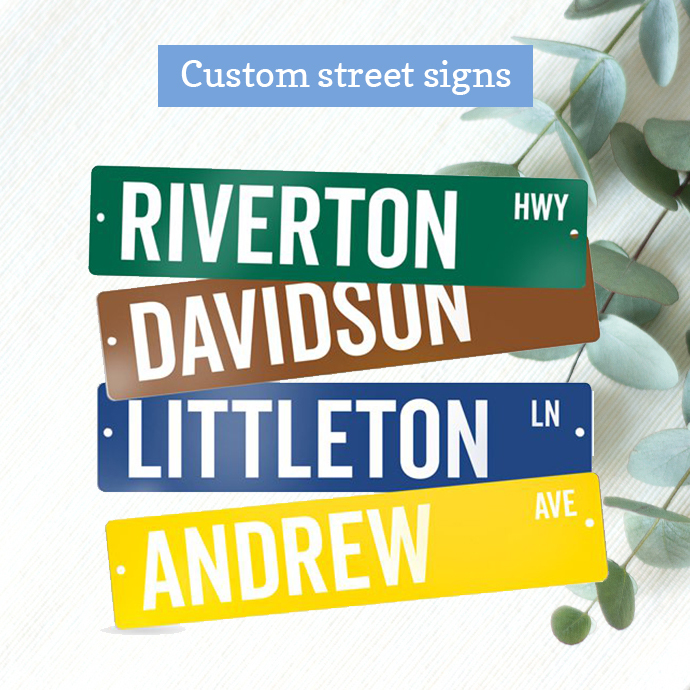 We also print custom metal street signs, jewelry, ornaments, stainless steel tumblers, magnets and other specialty gifts. Our quality custom prints are handcrafted to last a lifetime. 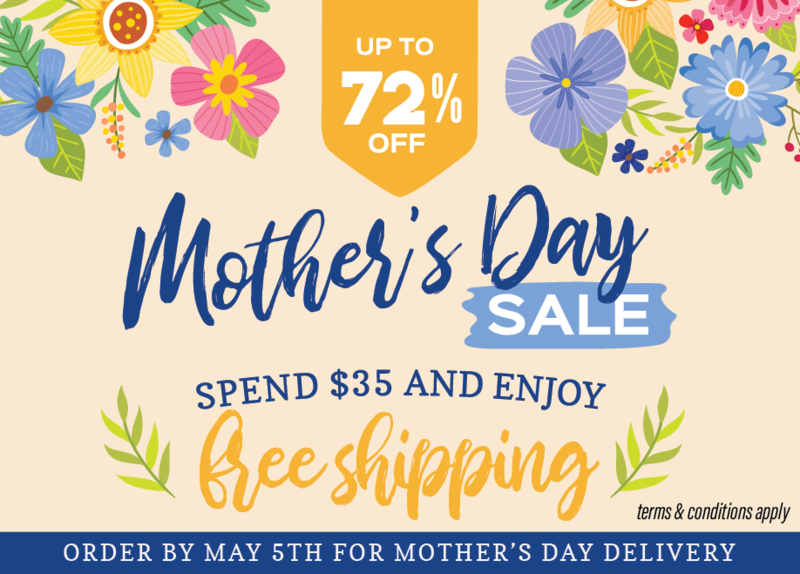 Begin preserving your memories today! Ordering is easy. Just choose your style and upload your image files. Your custom picture memories will be on their way within a few days.